Abstract : We present a method for automatic reconstruction of permanent structures, such as walls, doors and ceilings, given a raw point cloud of an indoor scene. The main idea behind our approach is a graph-cut formulation to solve an inside/outside labeling of a space partitioning. We rst partition the space in order to align the reconstructed models with permanent structures. The horizontal structures are located through analysis of the vertical point distribution, while vertical wall structures are detected through feature preserving multi-scale line tting, followed by clustering in a Hough transform space. The nal surface is extracted through a graph-cut formulation that trades faithfulness to measurement data for geometric complexity. 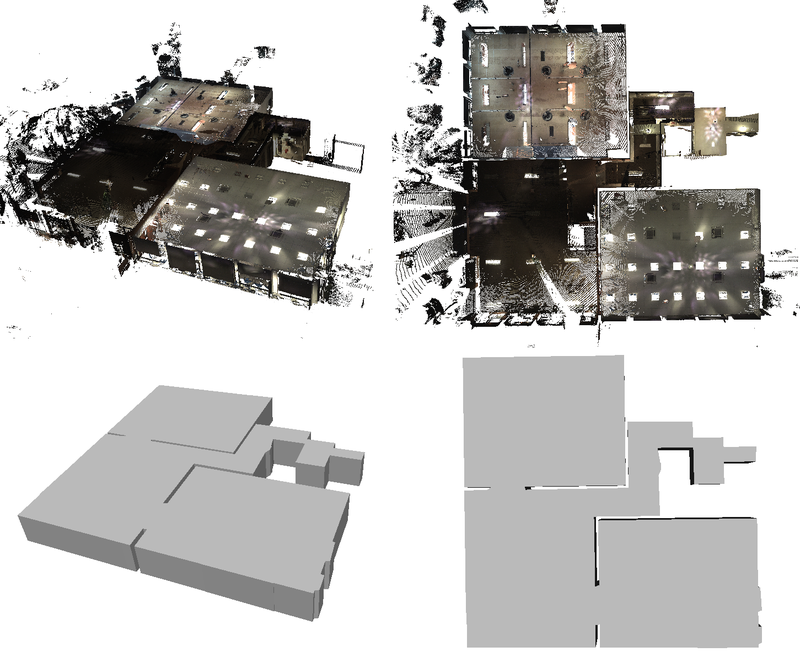 A series of experiments show watertight surface meshes reconstructed from point clouds measured on multi-level buildings.